Leo swerved to avoid a dead badger. The A1 was still so quiet that groups of starlings rose in disgruntled crowds as he disturbed their breakfast, and the café where he had once eaten the best bacon sandwich of his life was firmly shuttered. 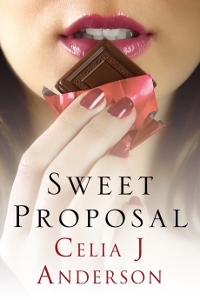 He gave in to the violent rumblings of his stomach and reached into the glove box, tearing the emergency chocolate bar open with his teeth and chewing until the bitter sweetness melted on his tongue, soothing and sensual. Chocolate and the future – they were closely linked in Leo’s mind. He sighed deeply. It was a pity that Sophie didn’t share his enthusiasm, but he supposed it was hard to get enthusiastic about a chocolate-based dream when all you ate was lettuce. Sophie was only twenty-five after all, ten years younger than Leo, stunningly beautiful and harder to amuse than a teenager on a family holiday. Maybe after they were married she would realise what a brilliant opportunity this move was going to be, and would be ready to leave Newcastle and her weird friends behind. Stretching his legs, Leo decided that this cab must have been designed for a much smaller man. He yawned, felt his eyelids droop and blinked furiously, thinking of hot baths and strong coffee. He’d had no sleep for almost twenty-four hours. Celebrating was fine, but work would have to come first from now on. It was time for the Chocolate Project. The excitement that had been building up in waves washed over Leo again, and he gave the middle-aged lady driving towards him the full benefit of his flashing grin and dimples. He saw her jaw drop and laughed for the sheer joy of living – at last, Leo was about to make his mark, and no one was going to stop him. Her ultimate dream is to have her children’s books published too. Usually sea-starved in the depths of the Midlands, she can often be found wandering happily around Brighton visiting her two daughters and pretending to collect ideas for her next book.